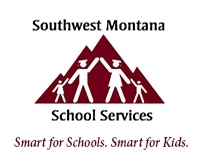 Southwest Montana School Services (SWMSS) and the MSU Science Math Resource Center (SMRC) invite your organization to exhibit at the 2nd Annual Science Summer Institute: Connecting Classrooms to Careers. This conference is designed for educators and administrators at all grade levels, PK-12, as well as for before and after school program educators and pre-service teachers seeking to deepen their expertise in science and STEM education. Attendees will have the opportunity to collaborate and learn from educators and organizations from around the state and beyond. Last year participants raved about the high-quality content, resources, and networking opportunities. We expect attendance to increase significantly over last year. 2. Add-on: Breakout Session - exhibitors have the opportunity to offer a breakout session to present your programs, resources, or services. We are limiting this opportunity to 6 total (3 on Day 1, 3 on Day 2) on a first come first served basis, including choosing your day / time slot. A breakout session form link will be sent to exhibitors who choose this add-on in registration. Click here for the General Conference Schedule to view breakout session time slots & exhibitor break times. 4. Museum of the Rockies "MOR Science" Kickoff Social - all exhibitors are invited to attend this event on Monday, Aug. 5, from 6:30 - 8:30 pm. This informal networking social is open to all Science Summer Institute registrants, presenters, and exhibitors, and it is FREE to everyone. Come and enjoy the planetarium, MOR exhibits, and network with educators from across Montana. (And pick up your parking hang tags!) We are also offering pre-registration to conference registrants at this event. 5. Request: Your Organization's Logo - we will be including all exhibitor's logos on our conference website with a link to your website. Please email it to Jennifer Brekke at SWMSS (high resolution, please) at jbrekke@swmss.coop, and she will add it upon receipt of payment. 7. Request: Door Prizes - if you have items to donate as door prizes please email Melissa Tovass at SWMSS at mtovaas@swmss.coop as soon as possible. 8. Attendee Swag Bags - each attendee will receive a swag bag at the registration table on Day 1. We would be happy to include one insert from your organization if we receive them by July 25th. We are expecting 200 attendees at this year's event. Mailing instructions will be sent out in the Exhibitor Need to Know email late June/early July.